During the writing of his fourth novel, 1983’s The Breaks, Richard Price felt that he “ran out of autobiography.” None of his books had been straight non-fiction memoirs, but they had all been based heavily in his own experiences, and that well of inspiration finally seemed to be running dry; he had told his own story as thoroughly as he could. The film adaptations of his first two novels had made him a known quantity in Hollywood, and for years he had been pursued for screenwriting gigs due to the cinematic quality of his prose. Now, feeling like he had nothing left to say via the page, Price decided to try his hand at writing for the screen. Although The Color of Money would end up being the first script of his to be produced, it was far from the first one he wrote. That distinction apparently goes to Wingo, an original story about a mailman who wins the lottery. Wingo was never made into a film (or released in any capacity, as far as I can tell; what I wouldn’t give for a copy! ), but it made the rounds in the film industry and was well-regarded enough to earn Price the attention of some major players, including Martin Scorsese, whose gritty filmmaking style seemed a perfect match for Price’s own streetwise aesthetic. Scorsese’s first assignment for Price was a remake of Night and the City, a project which wouldn’t end up getting filmed until 1992 (without Scorsese’s involvement). Still, that script impressed the director enough that he turned to Price again for an adaptation of Walter Tevis’s newly published sequel to his 1959 novel The Hustler, which had been adapted into the classic 1961 film of the same name. 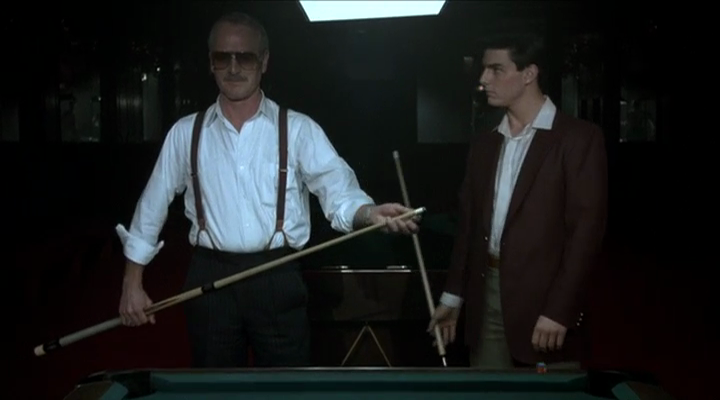 The Hustler followed small-time pool shark “Fast” Eddie Felson–one of Paul Newman’s most iconic roles–in his quest to beat Minnesota Fats, supposedly the best pool player in the country. Tevis’s 1984 sequel, The Color of Money, found an aging Eddie going on tour with Fats to pay the bills and eventually turning to the world of tournament pool in an attempt to recapture his former glory. A couple of scripts for the project, including one by Tevis himself, had already been rejected by Scorsese, who didn’t want to do “a literal sequel… based on at least some familiarity with the original.” So Price (according to the introductory interview of his script collection 3 Screenplays) “read the novel, and then… respectfully put it aside,” producing a script that had next to nothing to do with its supposed source material apart from the general theme of Eddie’s age (inevitable, given how much time had passed since The Hustler), his eventual exploration of tournaments, and a few minor characters (including, for example, a professional pool player who taunts opponents with lines like “It just keeps on getting worse”). In fact, the core of the film’s story focuses on Eddie’s relationship with a character who wasn’t in the book at all: Vincent Lauria (Tom Cruise, looking to bolster his reputation as a serious actor post-Top Gun), a puppyish young hotshot whom Eddie takes under his wing. The darker vision of Eddie still pops up occasionally in the finished film, as when he watches from a balcony as Vincent is getting beaten up, or when he roughs up Carmen because he feels she’s trying to manipulate him sexually. But the character was softened throughout the film’s development, even past the draft of the script published in 3 Screenplays, which is described as “the shooting script, the nearest line-by-line representation of the filmed movie.” The final scene of that draft has Eddie more or less admitting his own craven amorality, telling Vincent, “[T]he way you‘re goin’, you’re gonna wind up making me look like a saint.” The film leaves that line out, making it seem like the scene–along with the story as a whole–is as much about Eddie rightfully defending his own pride as it is about him trying to redeem Vincent’s soul. That confusion muddles the drama. In Price’s conception, Eddie was the villain, or at least the worst parts of him were. The film, on the other hand, wants us to root for Eddie to preserve his vitality against the ravages of time, which by default kind of makes youthful Vincent the villain–except, in moral terms, he’s not, and the film is never quite willing to demand that we see him that way. There’s still a lot to like here, though. I’ve already mentioned Price’s slippery dialogue, and Newman, right or wrong in his opinions on the screenplay, is a joy to watch, as is the rest of the cast. 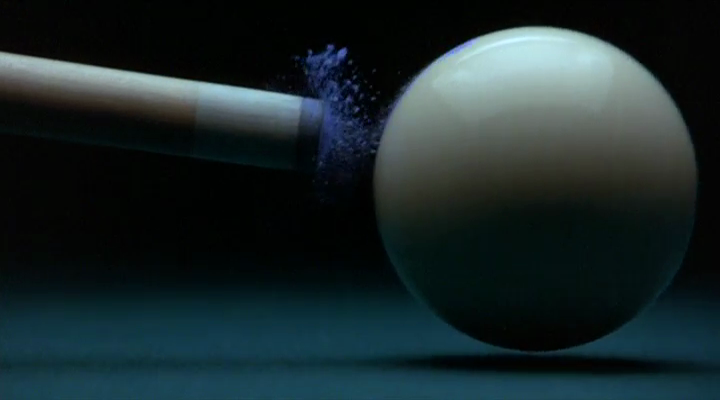 Scorsese’s energetic directorial style is also very much apparent, especially in conjunction with Michael Ballhaus’s cinematography; the camera is constantly gliding through the air or swooping towards its subjects, and there are some brief but cool-lookin’ stylized sequences presenting pool cues and billiard balls in action as an abstract visual feast. 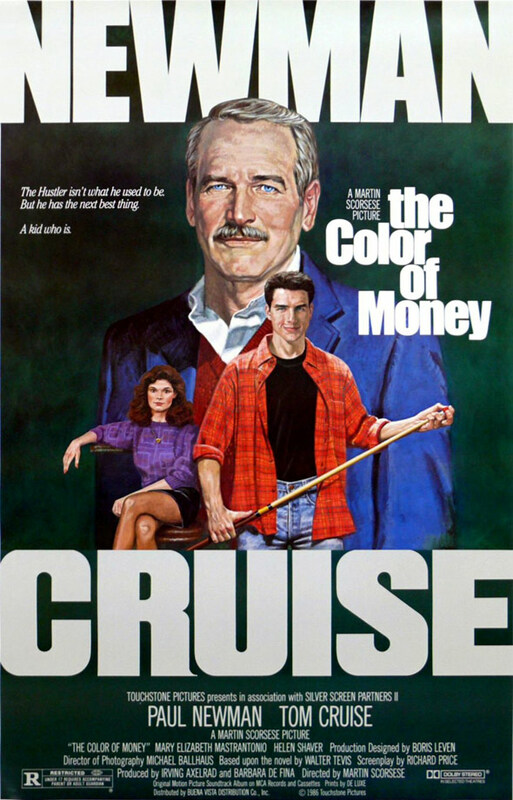 But while The Color of Money was important to the launching of Price’s film career, it was just as important to his realization that a lack of autobiographical inspiration didn’t need to prevent him from writing. To craft the script, he says, “I had to go down to Kentucky and Alabama and places where pool tournaments were, and I discovered that I could learn about the world, and that talent and personal experience are not Siamese twins.” Or, as he often summarizes the point, “talent travels.” This was the lesson that would eventually bring him back to novels–but not before he got a few more movies under his belt. 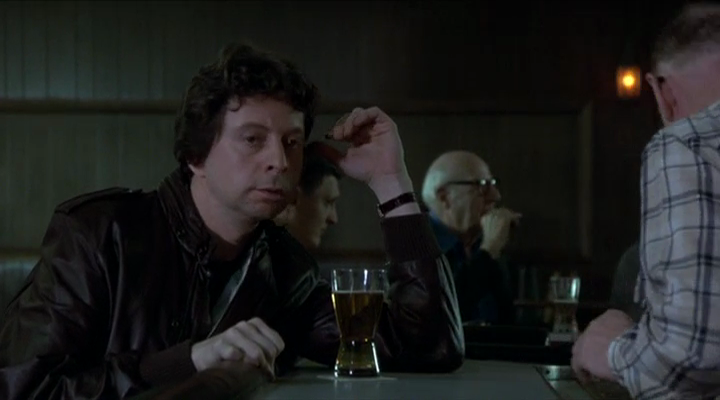 • Price has another brief speaking role here, as a barfly who summons up a local pool player to face off against Eddie. The Eddie Felson character there is played by John Mahoney, who would ironically be featured in another Price film also released in 1986, Streets of Gold, which’ll be the subject of next week’s post. • No particular relevance to The Color of Money here, but this past week saw the publication of a new essay by Price about public housing in New York City. Next week: Streets of Gold, the 1986 Cold War boxing flick that time forgot. This entry was posted in Films and tagged billiards, films, martin scorsese, movies, paul newman, pool, richard price, tom cruise. Bookmark the permalink.